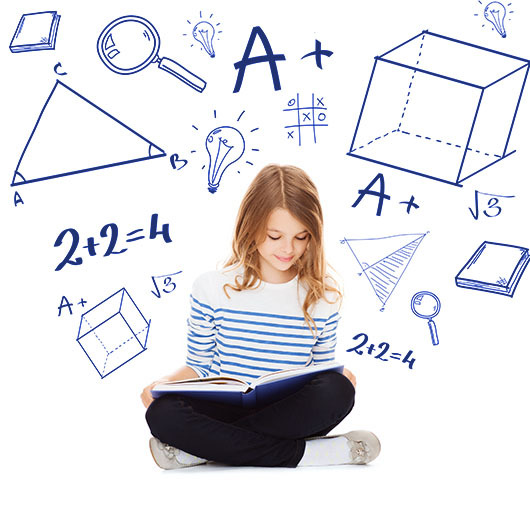 Highlite Education Loans℠ is a tutoring financing program and the simplest and safest way to finance tutoring services or other after school education programs. Highlite Education Loans has removed the clutter & complication from the entire finance process & created something simple and easy to understand. Simple process from start to finish. Easy to explain to parents. Smart parents ask for it. Responsible educators offer it. Highlite is the safest loan a family can get with easy to understand terms. No hidden fees or closing costs. No “gotcha” language with 0% offers. DESCRIPTION: The Highlite Standard loan is designed for the budget conscious family who wants a tutoring finance option with a low, fixed monthly payment at a fair interest rate. Our standard loans provide peace of mind because the interest rate and monthly payment is known BEFORE the family applies and the those terms are locked after they have signed their loan document. 14.99% APR* on all approved applications regardless of credit. Apply for Standard Loan Today! When we say 0%…WE MEAN IT! DESCRIPTION: The Highlite Zero™ loan is for the family who wants to avoid paying interest and is confident that they can pay off the loan within a short period (6 or 12 months). Highlite Zero™ loans are written at a 0% APR* and have no default rate so the family will never pay any interest…EVER! 0% APR* on all approved applications regardless of credit. Loan terms are set at 6 or 12 months depending on the educator. Apply for Zero Loan Today! Family visits the Apply Now page and can see their exact payment options before they apply! Family selects the tutoring financing option they want and completes the easy application. Once the application is submitted, both the family member and educator are notified of the decision. Family member can sign their loan document on any computer or smart device in the educator’s office or in the comfort of their home via email. After loan documents are signed and submitted for funding, the educator will be paid in as little as 24 hours and the family’s first payment won’t be due for approximately 1 month. Highlite considers credit applications from families with fair credit and above. We manually underwrite within a few minutes those applications that are “on the fence’ so we can better serve the families that apply with us. – Considers “fair” credit and above. – No Bankruptcy, foreclosure, or repossession. – Ability to add a co-signer to application. Highlite Education Loans is a non-recourse, bank funded tutoring financing program that is available to educators in all 50 US States. Highlite offers the simplest and safest loan a family can receive. How is Highlite differ from other education loan programs? Highlite’s loans are simple and straightforward. Unlike most financing programs, Highlite loans contain no “gotcha” language or varying interest rates. Families know exactly what their interest rate and monthly payment are BEFORE they apply. In addition, Highlite’s 0% interest loans are REAL 0% offers and families who select a Highlite Zero™ loan pay no interest…EVER! What types of loan options does Highlite offer? Highlite offers parents an easy choice when it comes to tutoring financing. Parents on a budget can select a low fixed interest payment for 24 months or a 0% interest loan for 6 or 12 months depending on the educator. Learn more about Highlite’s two simple options here. Parents can apply online by clicking any of the APPLY NOW buttons or links throughout the website. After entering their chosen Educators provider code, they can complete the simple credit application and submit for approval. Within a few minutes, the family member and the educator is notified of the application’s status. Once an approval has been received, the educator can initiate the electronic loan document signing process. I am an educator. How do I offer this program to my families? Educators can visit the enrollment section of the website and complete the short form. A Higlite representative will contact you and email you the educator agreement for electronic completion. We will then set up your login credentials and provide you with training materials. The process takes 1-3 business days. Highlite’s tutoring financing options provide clear and easy to understand loan terms with no “gotcha” language. It’s simple, safe, and affordable. Highlite donates a portion of the revenue earned from every loan to Children’s Mercy Kansas City. Children’s Mercy is nationally recognized for delivering high-quality, compassionate pediatric care.